One week after an F-35A stealth fighter jet crashed off the northeastern coast of Japan, U.S. and Japanese military vessels are struggling to find the wreckage and protect its valuable secrets. The Japanese jet vanished from radar on April 9 over the Pacific as it was conducting a training mission with three other aircraft some 135 kilometers (85 miles) east of Misawa, Aomori Prefecture. A Defense Ministry spokesman said that the remains of the jet’s tail had been found but they were still hunting in vain for the rest of the fuselage, as well as the pilot. “On average two aircraft, including a helicopter, and two patrol vessels are constantly deployed in the around-the-clock search operations,” said the official, who asked to remain anonymous. The Maritime Self-Defense Force has also dispatched an unmanned submersible vessel. Separately, the U.S. military has dispatched one military aircraft and one vessel to join the mission, said the official, adding that the search has not yet been scaled back. 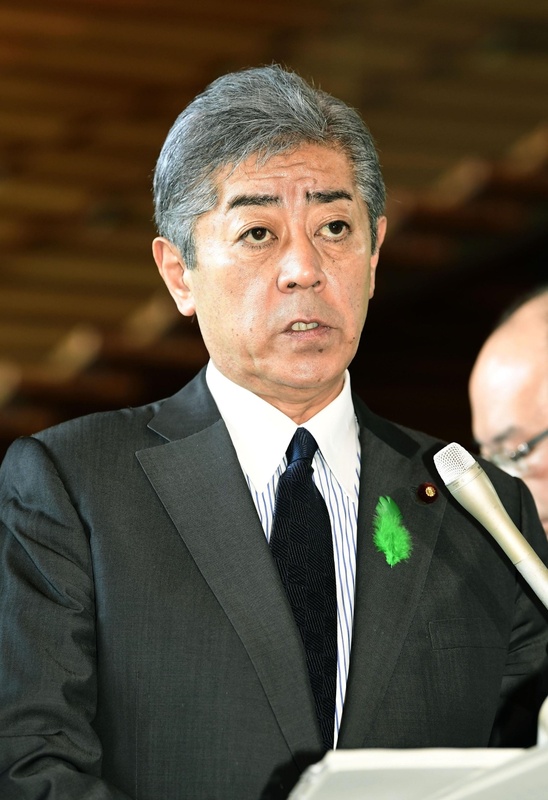 Defense Minister Takeshi Iwaya said the crash would be discussed at a meeting with his U.S. counterpart in Washington on Friday, which will also involve the two allies’ foreign ministers. “The F-35A is an airplane that contains a significant amount of secrets that need to be protected,” Iwaya told reporters. “With the help of the United States, we will continue to take the leading role in investigating the cause of the accident,” he said. And Hideshi Takesada, a defense expert and professor at Takushoku University in Tokyo, said it would not be a surprise if Moscow and Beijing were engaged in undercover activities to find some of the debris. “Even if Japan and the U.S. find it, they may not disclose details, including its exact location, due to concerns that China and Russia might try to collect it,” Takesada said. Japan’s Defense Ministry confirmed it had not spotted any suspicious vessels or aircraft from a third country near the site. The air force announced a commission last week to study the cause of the accident but it remains unclear exactly what happened to the plane. Japan is deploying F-35As, each of which costs more than ¥10 billion ($90 million), to replace its aging F-4 fighters. The jet was one of 13 F-35As deployed at Misawa Air Base, according to the defense ministry. The F-35A jets are a key part of Prime Minister Shinzo Abe’s efforts to upgrade the nation’s military capability to meet changing power dynamics in East Asia, with China rapidly modernizing its armed forces. The upcoming “two-plus-two” meeting in Washington will be attended by Iwaya and Foreign Minister Taro Kono, as well as U.S. Secretary of State Mike Pompeo and Acting Defense Secretary Patrick Shanahan. 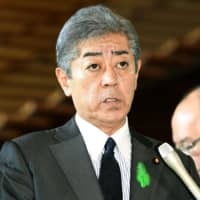 They plan to release a joint document that will likely highlight the countries’ defense cooperation in areas including space and cyberspace, according to Japanese officials. The previous two-plus-two talks were held in August 2017.